Watu Ondo is located in Ngancar village, Plaosan District. This Watu Ondo Waterfall as part of Waterfall tourism object area that developed by Magetan regency government. Watu Ondo Waterfall is located in very under part from the third waterfall that reside in one-river streams in Ngancar village, that is Watu Ondo, Jarakan and Pundak Kiwo waterfall. This waterfall is located about 600 metres from the entered gateway. 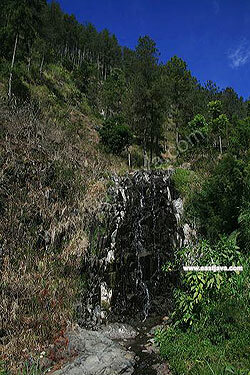 Watu Ondo waterfall is very beautiful waterfall, because it is passing rocks which arranged properly like stairs. That’s why this waterfall called Watu Ondo, Watu in english means rock and Ondo means stairs.